Sydney: Was the public misled to support Allianz Stadium demolition? New South Wales' stadium policy has been a major issue for many months now, but the debate got especially heated in recent weeks. There were several efforts to block demolition of Allianz Stadium, at least until after the March 23 election. All of them failed and the building is now being gradually dismantled. But even with no turning back the subject of replacing a 45,000-seat stadium by a 45,000-seat stadium delivered even more controversy. The lavish $729-million project (US$518 million) has been heavily criticised as too expensive to be financed publicly. The debate was fueled again on Wednesday, when a confidential report from 2016 was revealed, suggesting renovation could have been far more cost-effective. 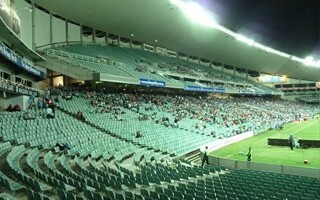 The report was commissioned by Allianz Stadium operator, the Sydney Cricket Ground Trust, but was not part of the public discourse until just now. According to the data presented, basic renovation of the stadium to improve safety and ensure compliance with current regulations would have cost $18 million. Not 180 million, just 18. Of course we're talking of no significant structural interference, just slight upgrades. A more critical intervention was estimated in the report to cost $130 million. This would include “end of life issues” ranging from refurbishing “bathroom and public amenities” to repairing the trust's pool deck and change room and scoreboards. Again, no crucial structural changes would be made, but effective lifespan and standard would have been greatly improved. These figures stand in stark contrast to official figures given by NSW authorities, including just two numbers: $714 million for renovation and reconstruction against $730 million for completely new stadium. Obviously the $714 million project would be more extensive than indicated $130m scheme, but when money is being spent by public authorities, the question shouldn't be how to build the best possible stadium, rather which solution is most sensible. Or at least that's what Labor leader Michael Daley claims. Circumstances of additional options being revealed aren't perfect, certainly. Demolition will not be stopped now and Allianz Stadium will be replaced by a brand new one in 2022.